I was driving around Reno this time last week on a business trip (by “business” I mean “cartooning-related”) and found myself approaching the intersection of Plumb and Kietzke lanes. The marquee of the corner A&W caught my eye: “BEST FISH SANDWICHES IN TOWN!” That sounded like a boastful challenge, so I decided to take them up on their claim. Reno is the former home of not only me but the world’s largest A&W drive-in (its Kietzke Lane location was closed down in the 1990s and is now a used car lot I think). 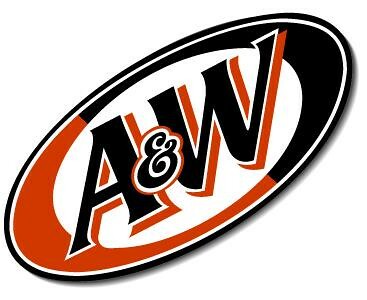 San Diego bid farewell to its last two A&Ws over the last couple of years. Sad to see them leave, but I guess it’s just as well since they were symbiotically fused with KFCs. 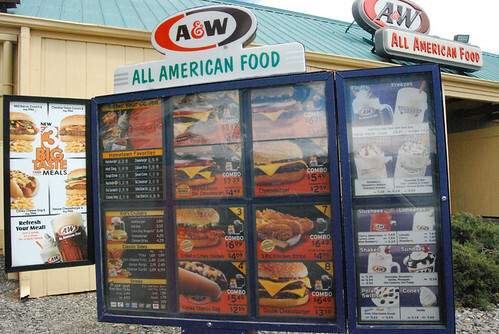 All you could order were the basics: burgers, hot dogs, fries and root beer. Fortunately for me, this Reno location had a full menu. That means the full spectrum of burgers (incl. the Papa burger), dogs, chicken tenders, fries, floats, freezes and a bunch of other ice cream-related offerings that would give Dairy Queen a run for its money. I haven’t ever had a fish sandwich from A&W so I ponied up $2.99 plus tax and gave it a shot. Actually, I haven’t ever had an A&W burger either, but I assume the fish sandwich uses the same bun. It was lightly toasted and soft. The geometric quadrangle of deep-fried fish was adorned with a slice of American cheese, shredded lettuce and pickles. I have no idea what kind of fish they used nor its calorie count (their official web site does not contain fish sandwich information), but I guess it doesn’t really matter because it tasted pretty average. I’d rate it around the same as ones you’d find at Sonic Drive-In or Jack in the Box. The pickles were a nice touch, although in one bite I think I got all of them (startling flavor blast, I tell you). 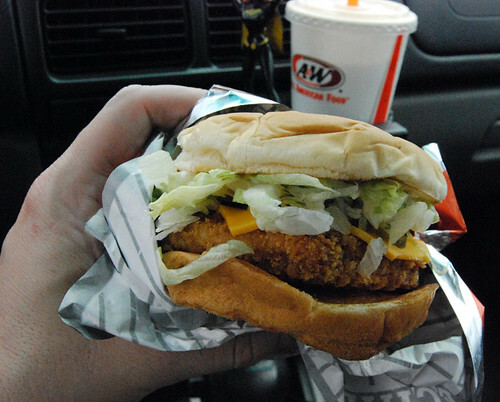 As far as A&W’s claim of having the best fish sandwich in town? Meh. Only if all the area Wendy’s pulled theirs from their menus.